5 Reasons You Should Take Waterman Survival. Now. You can do everything right. You’re riding the right board for the right conditions. Your paddle strength is prime. You’re lined up for the best wave in the set. But, you can’t control Mother Nature and what happens under the water during a wipeout. Alright, so you might not being going this big, but the fear of wipeouts can be what holds back many surfers from paddling out into bigger swells — bigger than the mush your pushing the rest of the year — and those same wipeouts can be what take some of the greatest professional big wave surfers for a ride. The Waterman Survival Extended (WSE) course offered by Freediving Instructors International (FII) provides a unique method of training for surfers looking to ride bigger waves and has benefitted professionals including Garrett McNamara and Jamie O’Brien. By providing surfers with the knowledge and training to confidently surf larger waves, the WSE course helps waterman looking to push their limits make calculated decisions while underwater and the priceless value of air during a wipeout. With winter swells approaching, here are five reasons why you as a surfer should be enrolling yourself in the upcoming FII classes. A primary deterrent for surfers looking to ride bigger waves seems to be fear — and rightfully so after witnessing the accounts of Greg Long’s famous wipeout at Cortes two years back. After completing the WSE course, you will have held your breath for a maximum of three minutes, been blindfolded underwater and been given the physiological principles to work up to a 66 foot freedive. Considering the average length of a hold-down and the depth the force of wave can push you, in the course you will have well surpassed these standards. When you discover your body’s capabilities through this knowledge and training, these wipeouts no longer seem as intimidating. Surfing bigger waves become more of a calculated risk when you have new confidence in the water. The strongest urge to breathe for most untrained individuals is triggered by high levels of CO2. In surfing, an exhausting paddle out combined with high heart rate, muscle fatigue and little recovery often leaves no time to breathe-up. 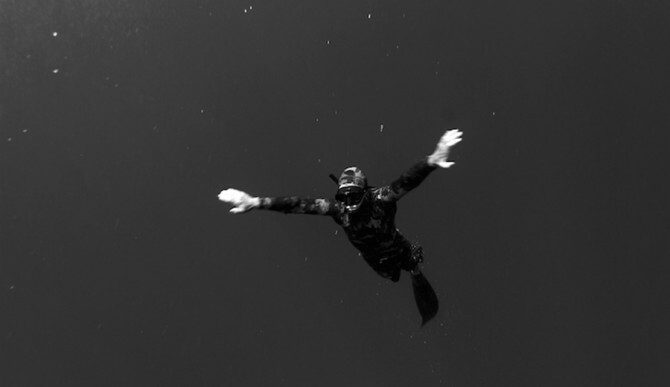 As a waterman, you can learn how to extend your breath hold and explore what the urge to breathe truly feels like so that when you are in a situation that tests your limits, you are aware of what is happening within your body. The knowledge gained about the physiology of breathing in the course will help to dispel common misconceptions about breath holding and allow you to develop techniques to extend your personal breath hold up to three minutes – that’s longer than most Ramones songs. If you speak with most professional surfers, they will tell you about the importance of mental preparedness just as much as physical. In wipeouts, the necessity to remain calm and relaxed underwater in order to conserve oxygen and energy can be difficult. The instructors at FII help waterman to effectively manage their heart rate to maintain calmness underwater. You will develop ways to engage your mind in order to find your “happy place” while hundreds of pounds of water barrel down on you. Physical fitness training will increase your paddle strength, agility and flexibility as a surfer. It can help you get into the wave. But what helps you get out of it? By learning new training methods for breath hold, stamina and mental preparedness, you can greatly increase your overall ability as a waterman. 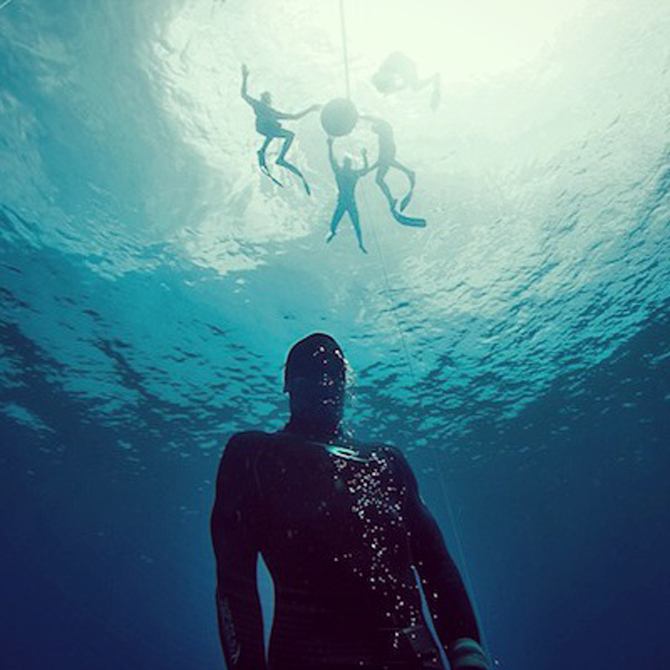 The WSE course incorporates a Level One Freediving Certification within its program. Serving as a foundation for all FII training, you will develop the methods and underwater skills of an entry-level freediver. Not only will this increase your knowledge of the water below the surface, but it will allow you to practice new training exercises in preparation for bigger swells and hold-downs. It doesn’t matter how skilled you are as a surfer, the ocean is a force of its own and a primary concern needs to be safety. Throughout the course, you will practice surf survival situations including implementing a proper buddy system and safety methods in the case of loss of motor control or a blackout. For more information, visit WatermanSurvival.com.